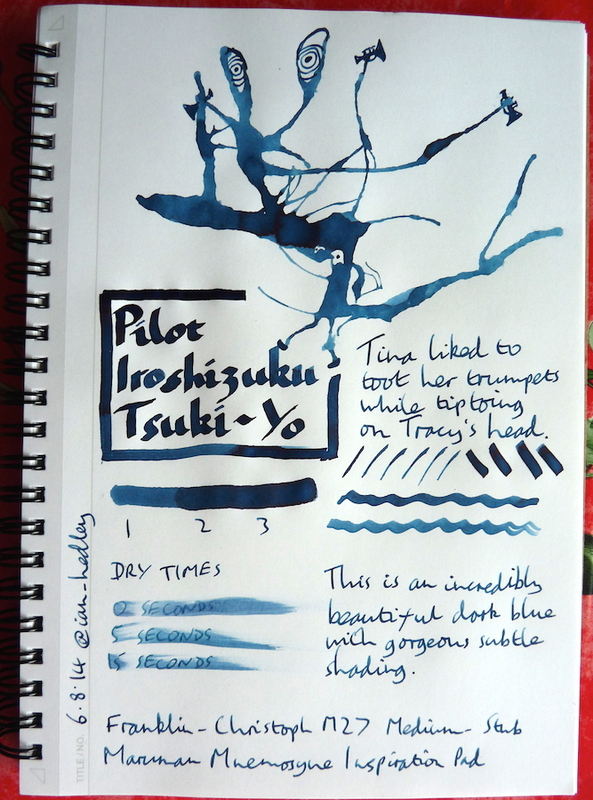 Pilot Iroshizuku Tsuki-Yo ink review – Pens! Paper! Pencils! This is an absolutely fantastic dark blue ink. It has some lovely shading, dries fairly quickly and looks beautiful. It’s my favourite dark blue. Here I am starting to doodle the Inkling. The camera ran out of memory and I didn’t notice so it comes to a sudden halt. 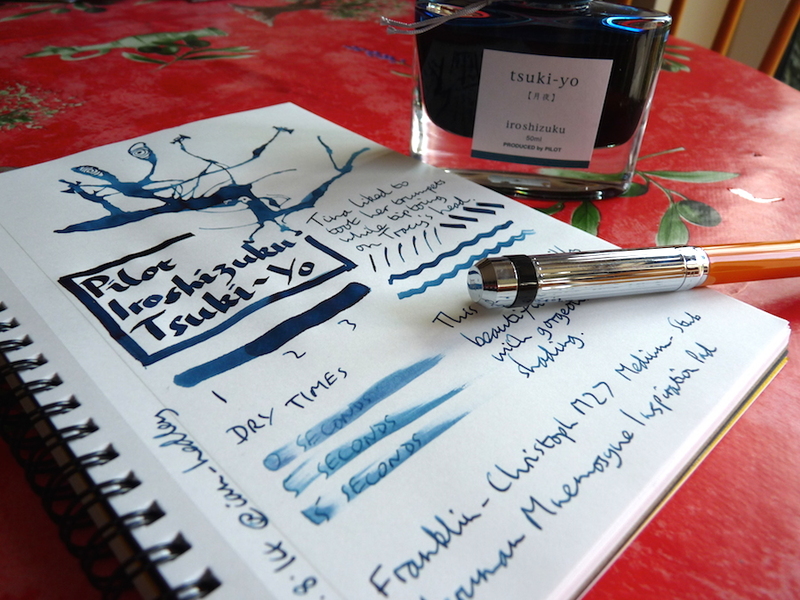 Tsuki-yo is now one of my favorite inks. It is well behaved and a joy to use in my Pilot fountain pen.